Just a quickie from me today as I intend just sitting back and enjoying the Tidy Garden. 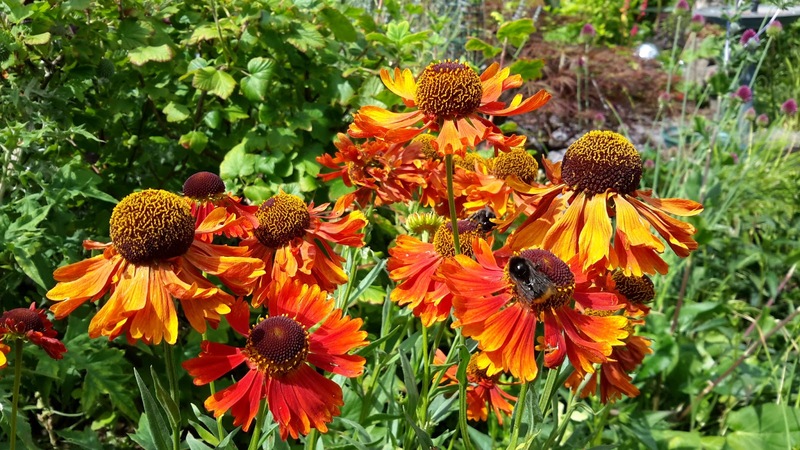 I love Helenium as well. Yours is really lovely. It's a real plus that they bloom forever! Happy Gardening! A sizzling hot plant! Hope you are enjoying your summer! Lovely heleniums, they didn’t like my previous garden, too shady for them – here in my new garden I will probably have more luck with them. After telling Myra that Jane from tidy gardens gave the thumbs up regarding removing the grass in our back garden!! guess what, we've only gone and done it! I will feature it in my next post, even if I say so myself, it is looking pretty good.